Home Science & Tech Diet sodas: safe to sip, or a fizzy facade? Diet sodas: safe to sip, or a fizzy facade? In an attempt to attract the male population to the diet soda fad that has swept the nation over the recent years, Dr. Pepper recently released a new product called Dr. Pepper 10. The new soda boasts 10 calories a serving with the tagline, “It’s not for women,” and is currently being tested in six cities across the U.S. The new drink is one of many that appeal to soda drinkers who desire the taste of soft drinks, but don’t want the extra calories and sugar. The goal of satisfying both goals is a constant challenge for soda companies, who strive to attract the weight-conscious while still not shunning the health-conscious people. But despite the low-calorie and low-sugar slogans that companies boast, many still question if diet sodas are any healthier than regular soda, if not even unhealthier. Most soda companies rely on aspartame as the artificial sweetener of choice for their drinks, which is 180 to 200 times sweeter than normal sugar. Because it is a higher concentration of sweetness, less needs to be used to flavor the drinks and therefore is less caloric. Although the FDA removed the restrictions on aspartame in 1996 and allowed it to be used in all foods, some studies have shown that it has side effects like headaches and mood changes. These are common symptoms felt by people who stop soda consumption. 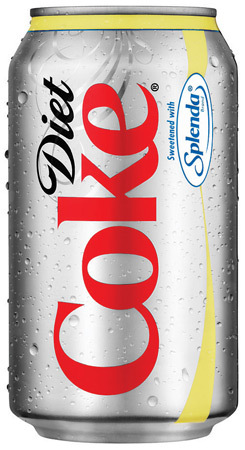 Soda companies tend to compensate for aspartame’s negative effects by flaunting the calorie savings of consumers who drink diet over regular: the average soda has 120 calories, whereas diet has zero, saving a person an extra 10 minutes on the elliptical. However, studies such as one recently conducted by the Universities of Bristol and Bangor have shown that when a person consumes a food that tastes like it has a lot of calories when it actually doesn’t, their body ends up craving the nutrients it thought it was receiving but didn’t get. So while you may be saving on soda calories, you’re going to be more attracted than usual to the pie in the dining commons later on. Additionally, the flavoring in diet sodas doesn’t add any nutritional value to the drink–it’s merely water with high fructose corn syrup and caramel color. According to a study from the University of Texas Health Science Center, drinking diet soda has been shown to increase the risks of obesity and type 2 diabetes. Overall, health experts recommend that people drink water, tea and 100 percent fruit juice over soda, claiming that the nutritional benefits of those drinks greatly outweighs the calorie savings. Water makes up 55 to 75 percent of the human body and helps with metabolism, regulating temperature and detoxifying the body. Tea contains antioxidants, bolsters immune defenses, may reduce the risk of heart attack and is calorie-free just like diet soda. One hundred percent fruit juices provide many of the nutrients found naturally in whole fruit like potassium, vitamin C and antioxidants. Whether or not diet sodas are a healthier substitute for regular sodas it is still being debated today, but there is no denying that they are a staple of the American health-craze culture.